« We Love Atomic Books! 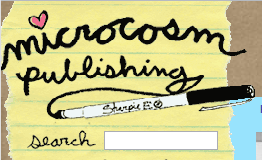 …and I know that Issue_03 is out (not on that soon), but I also wanted to let you know that Issue_02 is now available at Microcosm, an awesome zine distributor and seller. If you don’t have Issue_02 yet, please consider purchasing it from them. This entry was posted in Issue02, News. Bookmark the permalink. Both comments and trackbacks are currently closed.